HomeNewsBLUESFEST WINS FESTIVAL OF THE YEAR AT THE INDUSTRY OBSERVER AWARDS! BLUESFEST WINS FESTIVAL OF THE YEAR AT THE INDUSTRY OBSERVER AWARDS! 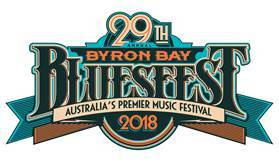 Bluesfest has taken home Festival of the Year at the inaugural Industry Observer Awards in Sydney last night. The Awards were created to recognise the incredible industry figures in Australasia, covering management, publishing, publicity, community radio and more. Marketing Manager Rusty Thorpe and Touring Manager Kimberley Galceran were there to accept the award on behalf of the Bluesfest team. “WOW! Bluesfest just won Festival of the Year at the Industry Observer Awards in Sydney…and on the same week as our festival is occurring. We are so pleased to win this Industry Award in its inaugural year. The competition was fierce, and any of the finalists would have made worthy winners. I would like to congratulate A Weekend in the Gardens, Caloundra Music Festival, Groovin The Moo, Hot Dub Wine Machine, Laneway Festival, Splendour in the Grass, UNIFY Festival, Yours and Owls on their nominations. Bluesfest 2017 was a huge success with over 105,000 attendees who enjoyed artists including Patti Smith, Santana, Buddy Guy, Mavis Staples, Mary J. Blige, NAS, Neil Finn, St Paul and the Broken Bones and The Doobie Brothers Bluesfest had some incredible competition with the following festivals also up for the award: A Weekend in the Gardens, Caloundra Music Festival, Groovin The Moo, Hot Dub Wine Machine, Laneway Festival, Splendour in the Grass, UNIFY Festival, Yours and Owls were all nominated, so it’s a true honour to win. Bluesfest 2018 is just 24 hours from kicking off! Artists including Robert Plant and the Sensational Space Shifters, Lionel Richie, Ms. Lauryn Hill, John Butler Trio, Tash Sultana, Seal, Jackson Browne, Melissa Etheridge, Gomez, Michael Franti and Spearhead, Jimmy Cliff and Leon Bridges are set to delight audiences at the festival from Thursday 29 March to Monday 2 April. There will be tickets on the door each day, plus a limited number still available via their website.